In celebration of Independence Day, the Chesapeake Bay Maritime Museum in St. Michaels, Md. welcomes The Shades of Blue Orchestrafor a live performance at its Saturday, July 6 Big Band Night. 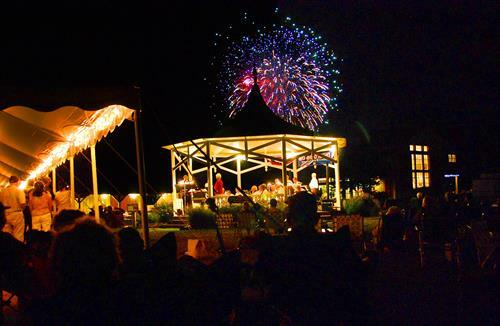 The St. Michaels fireworks are scheduled to launch after dusk that evening, with CBMM’s waterfront campus a great venue from which guests can enjoy the fireworks. The rain date for the concert and fireworks is Sunday, July 7.